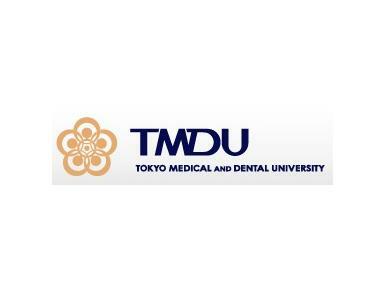 Tokyo Medical and Dental University is unique among medical and dental universities in Japan in that we have three divisions dedicated to graduate education and research: Medical and Dental Sciences, Health Care Sciences, the Biomedical Sciences Education Division, and the Biomedical Sciences Research Division. TMDU comprises four faculties (Medicine, Dentistry, Health Care Sciences and Oral Health Care Sciences), an undergraduate College of Liberal Arts and Sciences, two research institutes (the Institute of Biomaterials and Bioengineering and the Medical Research Institute), a university hospital attached to the Faculty of Medicine, a university hospital attached to the Faculty of Dentistry, and a school for dental technologists. At TMDU we strive to produce scientists who expend every possible effort in seeking the truth, and who have the courage and ability to explore new areas, the tolerance and humility to respect diversity and accept new ideas, and the intellectual curiosity born of a broad education. These qualities are necessary for successfully engaging in clinical practice or research, and, indeed, are required for the future of mankind. Meeting the challenging standards expected of a TMDU student will lead you to a satisfying and fulfilling scientific career, one that will completely reward the hard work you will invest in your studies.